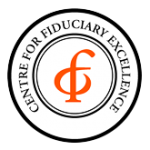 The Centre for Fiduciary Excellence, LLC. (“CEFEX”) is an independent certification organization. CEFEX works closely with industry experts to provide comprehensive assessment programs to improve the fiduciary practices of investment stewards, advisors and managers. CEFEX certifications help determine trustworthiness of investment fiduciaries. Resource Consulting Group, Inc. (“RCG”) obtained its CEFEX certification in January 2008 and has renewed each year since. For more information on CEFEX, please visit the CEFEX website. In order to achieve certification, RCG pays an annual assessment fee of approximately $5,000. This fee is a requirement for certification and covers the cost of the independent audit. The fee paid does not have any bearing on the outcome of the assessment. Receipt of the CEFEX certification is not indicative of RCG’s future performance, or any future performance pertaining to its clients’ investments; should not be construed by a client or prospective client as a guarantee that they will experience a certain level of results if RCG is engaged, or continues to be engaged to provide investment advisory services; and should not be construed as a current or past endorsement of RCG by any of its clients. For more information on CEFEX, please visit the CEFEX website.